Last week was a very bad week for Lance Armstrong. He lost his endorsements from Nike, Trek, Giro, Radio Shack, and Anheuser Busch. He was forced to step down as chairman of Livestrong, the non-profit organization he founded to help cancer patients. Story after story emerged of the real man behind the public persona and it wasn’t very flattering. This morning wasn’t much better. 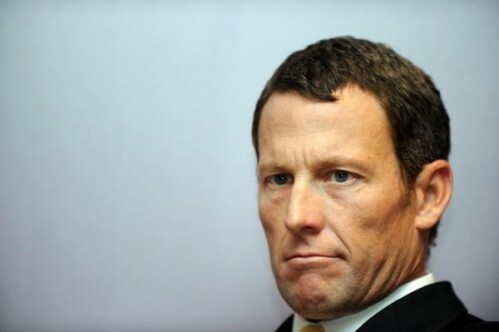 The UCI, professional cycling’s governing body, announced that it would uphold the sanctions issued against Armstrong by the US Anti Doping Agency - banning him for life and stripping him of his seven Tour de France titles. Lance's professional cycling career was formally erased from the record books. The Lance Armstrong Era never officially happened. The next generation of bicycle racers – those currently in their infancy or yet unborn – will never know what a tenacious competitor, skilled bike handler, and driven endurance athlete Lance Armstrong really was. Hell, none of us that witnessed his feats firsthand will ever be certain of where his talent ended and the illegal performance enhancement began. We know what we saw, but we will never know what we didn’t see. We can’t go back in time for a do-over without banned substances or without Lance and his team in the race. We’ll never know which of his competitors may have also been doping. There is no way to assign a mathematical value to the benefit received by the illegal performance enhancement and subtract it from the actual race results. Fans of bicycle racing know this all too well. An early stage crash can take out a race favorite or put him too many minutes behind to remain a contender. A flat tire or a mechanical issue at the wrong time can cost precious seconds that can’t be made up in remaining stages. A single moment of weakness – a miscommunication with teammates or a mental lapse – is sometimes all it takes to change the outcome of the overall race. Lance Armstrong and his team left nothing to chance. Absolutely nothing. And they won seven consecutive TdFs as a result of their dedication to an unethical plan. Sometimes the course of history pivots on a single decision. Had the Supreme Court not ruled to stop the Florida recount and declared George W. Bush the winner of the 2000 Presidential Election, the strength of the US economy might be different today. Would 9/11 have happened with Al Gore as sitting president? Would he have gone to war against Afghanistan and Iraq? Would the debt have escalated? Would the housing bubble have inflated? Would the recession have been as bad? None of these “what ifs” matter as our future history pivoted on the SCOTUS decision and proceeded from that reality. What if Lance Armstrong had done everything exactly the same, but done it without illegal performance enhancement? Would he have won the Tour in 1999? Would he have become a US sporting legend? A celebrity? Wealthy? Would his story – the cancer survivor story – have been any less remarkable had he merely finished second or third? Would Livestrong have been formed or raised as much money? Would Trek have sold as many bicycles? Would Lance have served as an inspiration to men and women to rediscover road bikes? There is no way of knowing the answer to any of these questions. The decisions of Lance Armstrong and everyone involved with his team to take that one extra step, to secure that one extra advantage, and to hedge against that one extra uncertainty, altered the course of cycling history forever. Where we are at today – not where we might be at – is a result of a calculated decision to break the rules. We are where we are and we can't go back and start over as if none of this ever happened. I have never been a proponent of the “end justifies the means.” I am not a Lance apologist nor am I a Lance hater. I wasn’t victimized by his deceit. I can’t empathize with Lance or the teammates that willingly chose to go along with his alleged plan. I have no sympathy for him personally. It doesn’t give me pleasure to see him sanctioned, shamed, ridiculed, rebuked, or ostracized. I’m not angry. I don’t feel duped. I’m not even disillusioned. I am an adult. I make mistakes. I realize that others make mistakes. It’s how each of us deals with mistakes that speak to our true character. It’s time for Lance Armstrong to admit that he cheated. I agree with the Federal judge that the evidence presented against Armstrong would not pass scrutiny in a court of law. Like Lance, I believe it was unfair that the statute of limitations was ignored in the decision to strip him of his titles. It was unfair that his teammates did not have to lose their race results during Lance’s championship years, despite admitting to doping during that time period. I don’t believe that any of his teammates should have received less severe sanctions for testifying against him – they all cheated. I also believe that Travis Tygart of USADA was so incensed that Lance Armstrong would not admit to doping that Tygart would stop at nothing to punish Armstrong. I don’t believe that the resources employed to compel testimony and bring sanctions against Lance Armstrong was money well spent. I don’t think this action will send a strong message to current racers or eliminate the motivation to cheat. It did nothing to repair the damages done to the clean racers during the Armstrong Era. Despite shared beliefs and the rationale that Lance Armstrong clings to for never admitting wrongdoing, the time has come to fold his cards. He doesn’t possess a winning hand. His bluff has been called. It may take some time. Some of his harshest critics may never let him forget his transgression and that is their prerogative. Forgiveness belongs to the forgiver, not the forgiven. We need look no further than our own ex-President Bill Clinton for an example of this. Those that have chosen to forgive Bill Clinton over the Lewinsky Scandal are now benefiting from his candid assessment of today's most pressing issues based on his unique experience as a past leader. He didn’t let his public shaming drive him into seclusion or prevent him from pursuing the public policy initiatives that he believed in. He didn’t let a single bad decision strip him of his other accomplishments. Today he stands proud after being humbled. A little humility wouldn’t hurt Lance Armstrong. Everything that he fought so hard to protect over the years – his cycling accomplishments, his loyal sponsors, Livestrong – has been lost to USADA’s sanctions. There is nothing left to protect except his character. Lance Armstrong may no longer be a winner, but he can become a champion again. He can continue to champion cancer research. He can champion clean competition in the sport of cycling. He can champion restructuring the archaic, winner-take-all revenue-sharing model of the sport which strongly encourages cheating. But first, he must man up and come clean. I've said from my very first post on this subject that bicycling is bigger than any single cyclist and it belongs to every single cyclist. Lance Armstrong hasn't ruined cycling - it wasn't his to ruin. As Lance himself famously said, "it's not about the bike." It's time for him to reiterate that message and tell the American people exactly what it was about. If you found this post interesting, share it on Google+, Facebook, and Twitter by clicking the boxes below the article. If you like this blog, fan me on Facebook and follow me on Twitter by clicking the boxes below my bio. Many of Lance's contracts have anti-doping clauses. If he admits doping, he admits to fraud and would owe many millions of dollars. Maybe he can settle with them first before going public? Seems like the legal battle will be uphill given how the sport has ruled against him.